Circa 1967. 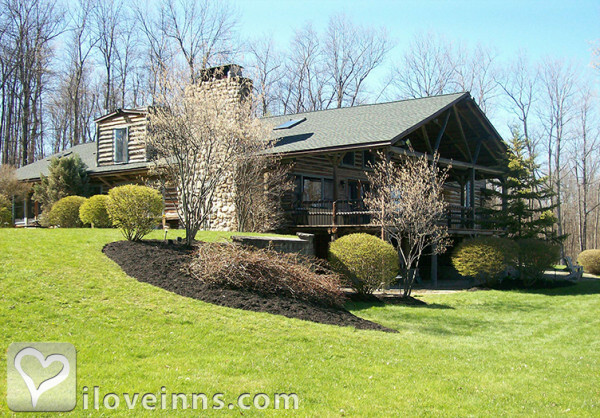 Intimate and romantic, the Chalet of Canandaigua is a spacious log B&B that sits in a secluded setting in the woods of Canandaigua, New York. It is easy to unwind and relax in the tranquil ambiance. 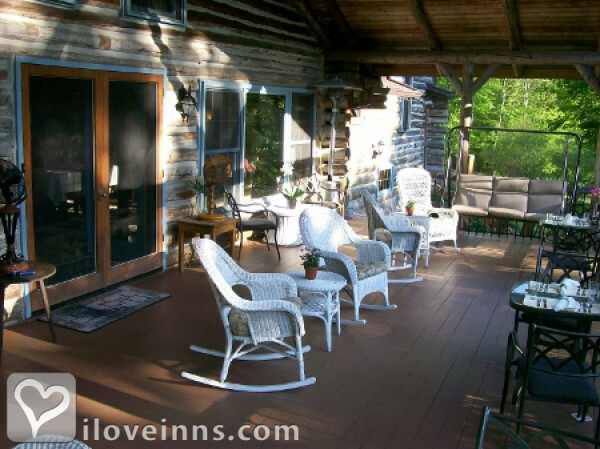 Sip a beverage and read a book on the deck or patio. Gather by a warm fire inside and enjoy the conversation. 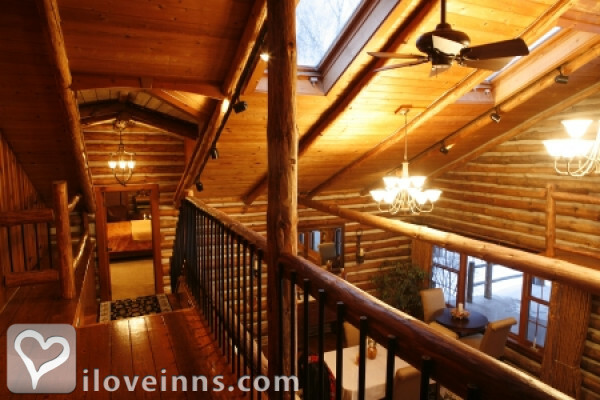 Retreat to an air-conditioned guest suite with a soaking tub, walk-in shower and fireplace. Linger over a candlelight breakfast then stroll through Sonnenberg Gardens and take a wine-tasting tour at a local vineyard. Swim in the lake or ski at Bristol Mountain Resort. Special packages are available and business traveler amenities are provided. Decorated with antique whites/blues, features a King-size bed, cast iron gas stove, sitting area, private bath with combination soaking tub and rain shower. Decorated in green/gold offers a King-size bed, see-through gas fireplace between the bedroom and private bath with soaking tub and walk-in shower. Decorated in rust/brown, King-size bed, leather chairs, 3-sided bay gas fireplace, sitting area, kitchenette, private bath with separate soaking tub and walk-in shower. Payment types accepted include American Express, Personal Checks, Master Card, Visa and Discover. 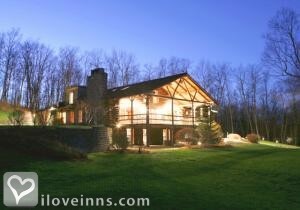 Rooms: This property has 3 total guest accommodations with private bath, 3 with fireplaces. The types of beds available include King. Meals Included in Rates: Breakfast, Snacks/Refreshments, Afternoon Tea and A full dessert is available every evening. Types of meals: Vegetarian Breakfast, Snacks/Refreshments, Room Service, Picnic Lunches, Full Gourmet Breakfast, Full Breakfast, Early Coffee/Tea and We can accommodate any dietary restrictions. Amenities In Room: Bath Amenities, Air Conditioning, Wireless Internet Access, Television, Refrigerator, Iron/Ironing Board, Heating, Hair Dryer, Fireplace, DVD, Coffeemaker, Cable TV and Bathrobes. Amenities On Site: VCR, Suitable for Events, Limited Handicap Access, Copy Machine, DVD, Fax, Fireplace and Free parking on premise. Business Traveler Amenities: Wireless Internet Access, Television, Off-site Dry Cleaning Services, Modem Connection, Iron/Ironing Board, Internet Access, Hair Dryer, FAX On-site, Desk, Daily Newspapers and Accomodations made for special needs. Events Hosted: Honeymoons, Meetings, Romantic Getaways, Family Reunions, Weddings, Seminars and small parties. Other Activities: Amusement Park, Antiquing, Art Galleries, Beaches, Bicycling, Canoeing/Kayaking, Fishing, Golf, Hiking, Horseback Riding, Live Theater, Museums, Parks, Shopping (Local Crafts), Skiing Cross Country, Skiing Downhill, Sports Events, Major College, Tennis, Water Sports, Wineries, Thoroughbred racing, Gaming, Casino, Sonnenberg Gardens, Bristol Mountain Ski Resort, Snowboarding and Performing Arts Center.